What’s in store for Sneaky Pete? Amazon has just released a new trailer for the TV series’ upcoming second season. From EP Bryan Cranston, the drama centers on Marius (Giovanni Ribisi), a con artist who finds himself on the run from a gangster he once robbed. The cast also includes Marin Ireland, Margo Martindale, Peter Gerety, Libe Barer, Shane McRae, and Michael Drayer. Season two of Sneaky Pete premieres on Amazon on March 9th. 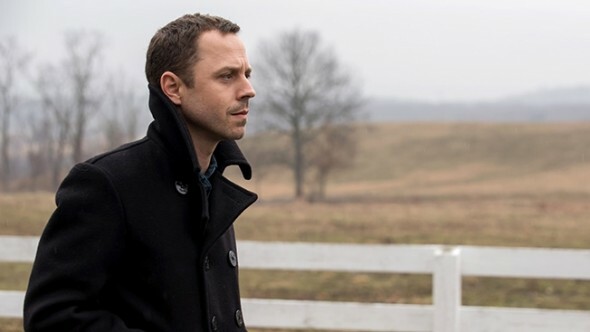 Amazon Prime Video today released a powerful new trailer in anticipation of the original dramatic series Sneaky Pete, which will return for its second season on Friday, March 9. The critically-acclaimed Prime Original, a co-production with Sony Pictures Television Studios, revolves around a con man, Marius (Giovanni Ribisi, Avatar) who left prison only to find himself hunted by the vicious gangster he once robbed. This visceral new trailer, entitled “Truth,” features actress Libe Barer, who portrays Pete’s precocious and sardonic teenage cousin, performing a compelling reading of Emily Dickinson’s poem “Tell the Truth but Tell it Slant,” set to as-yet-unseen footage of the new season which can be viewed/embedded here. In Season 2, Marius is on the verge of starting fresh, when two thugs, believing he is Pete, threaten to kill the family unless he takes them to Pete’s estranged mother Maggie (Jane Adams, Twin Peaks) and the millions she stole from their mysterious employer. Now Marius must tread a dangerous line to find the elusive Maggie, protect the family, and keep up the Pete con, all while finagling a way to ditch the thugs and keep the money for himself. What do you think? Have you seen Sneaky Pete? Will you watch season two?